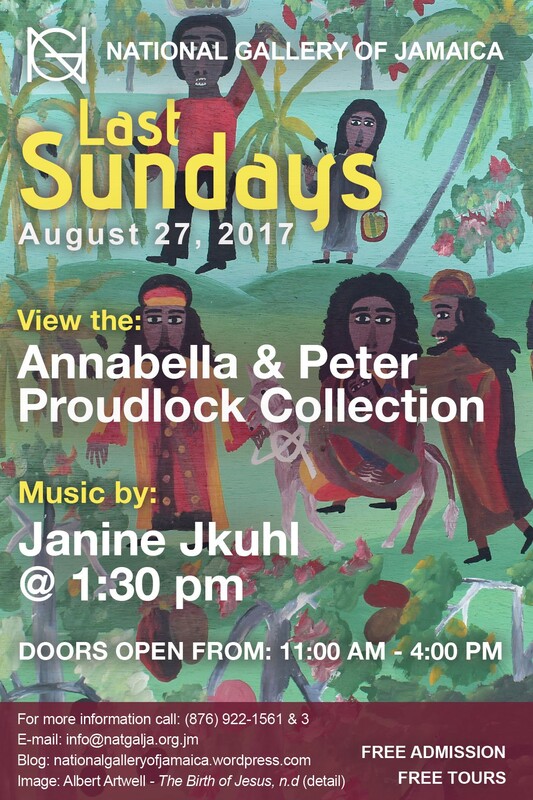 The National Gallery of Jamaica’s Last Sundays programme for August 27, 2017, will feature the Annabella and Peter Proudlock Collection exhibition as well as a musical performance by Janine Jkuhl. 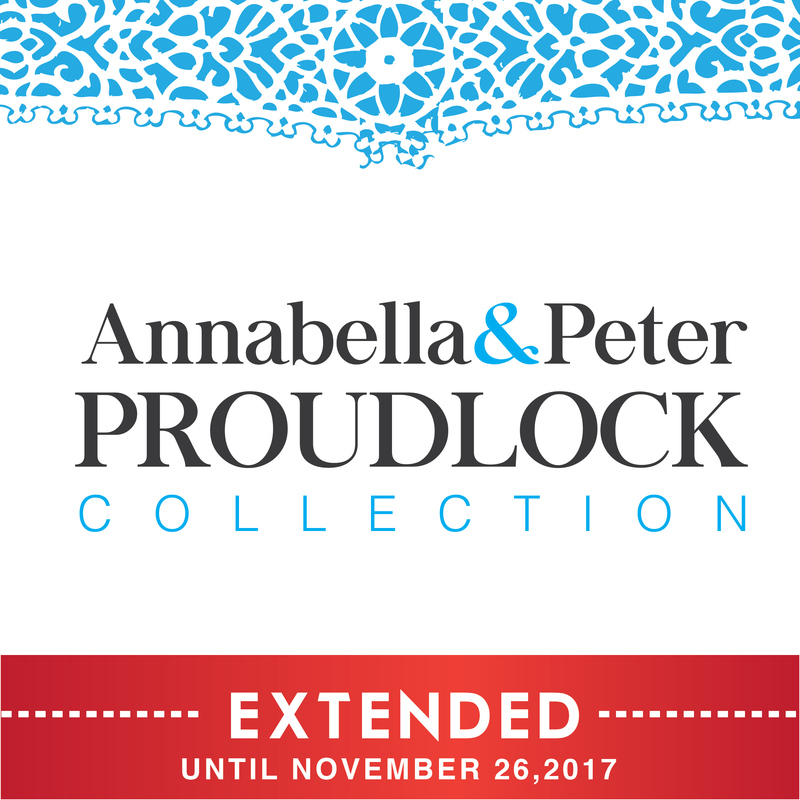 The Annabella and Peter Proudlock Collection exhibition features selections from the collection of Annabella and Peter Proudlock, who were the principals of Harmony Hall gallery in Tower Isle, St Mary. It documents some fifty years of collecting, mostly of Jamaican art but also of art and craft from elsewhere in the Caribbean and Central America. 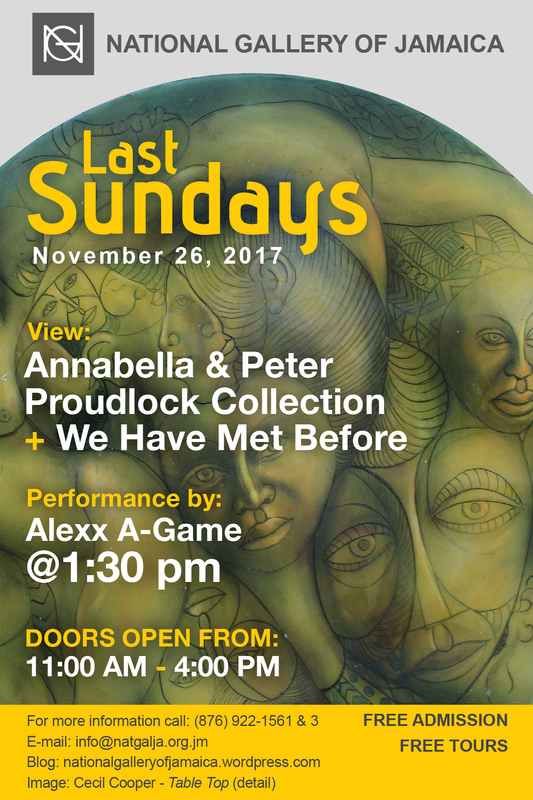 The exhibition tells the story of Harmony Hall, which holds a unique position in the history of Jamaica’s commercial galleries as it has served the local and tourist markets, and focuses on its role in the promotion of Intuitive art. 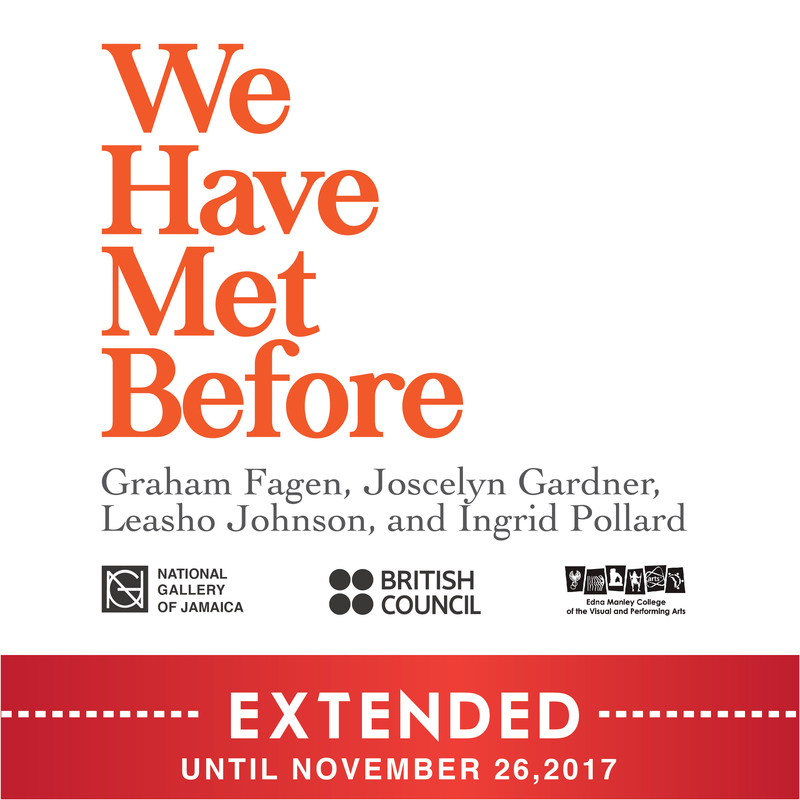 And it also tells the story of a particular group of people who made their lives in post-Independence Jamaica and who were deeply immersed in the cultural and artistic developments of that moment, to which they actively contributed. Janine Coombs, also known as Jkuhl (pronounced Jay-Cool), is an eclectic singer-songwriter and also an eclectic listener who is influenced by many genres of music. She describes herself as “a beatific musician, songwriter and singer of Classical and IndiePop.” A graduate of the Edna Manley College of the Visual and Performing Arts, Janine Jkuhl recorded her first Album, STAR GAZE, in the summer of 2009. This album consists of ten inspirational Indie-Alternative-Fusion tracks, to inspire, heal and soothe the mind and soul of listeners. Since then, Janine has written numerous songs showcasing her developing style which she calls “Jkuhl.” She has been featured in RJR 94 FM’s Music Week Acoustiks Live Concert, the Gungo Walk Alternative Music and Art festival, the French Embassy’s Fete De La Musique, the JARIA Reggae Month Show, and the MUZAK Heart and Soul Noise Talent Show at the California State University, just to name a few. 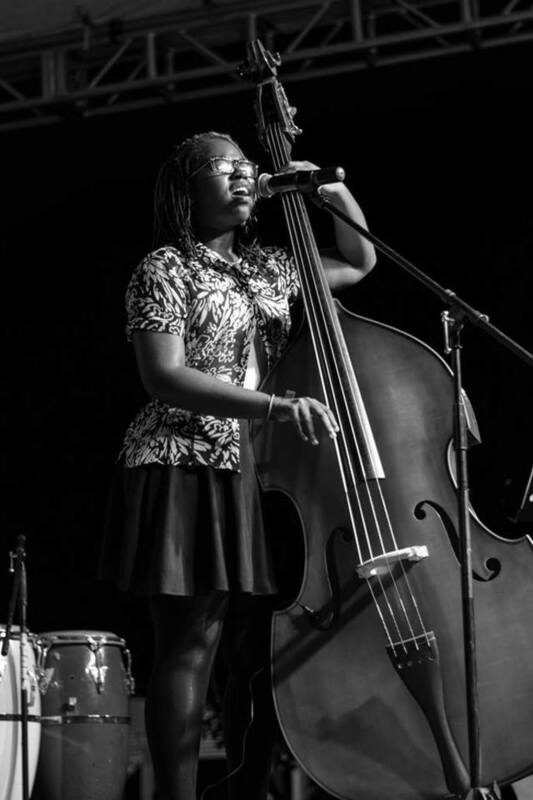 She has also been a guest soloist for the Diocesan Festival Choir of Jamaica Concert Series as well as the National Choral of Jamaica’s Elijah Tour. Her single Tempted was rated in the top ten songs of May 2016 on the USA Indie radio show, The John Wayne Show, Maven FM. Visitors will also be able to view two other temporary exhibitions consisting of selections from the National Collection: New Dialogues and Art of Independence. 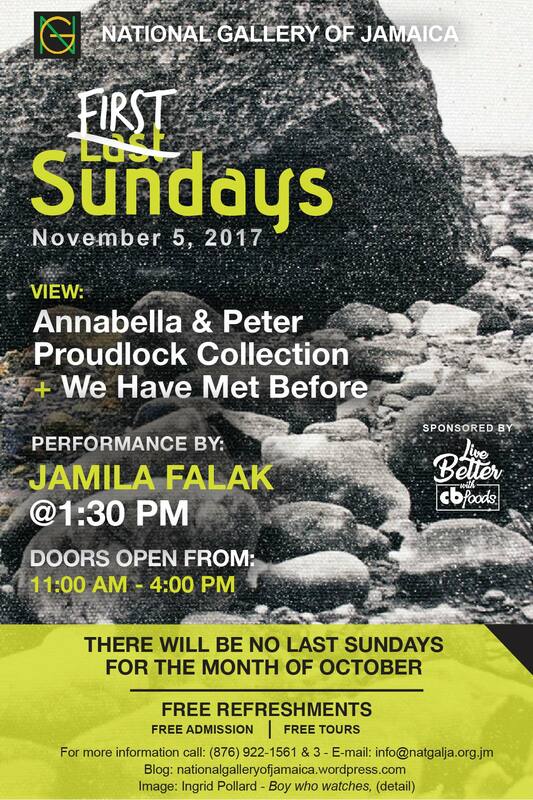 Doors will be open to the public from 11:00 am to 4:00 pm; the musical programme will start at 1:30 pm. 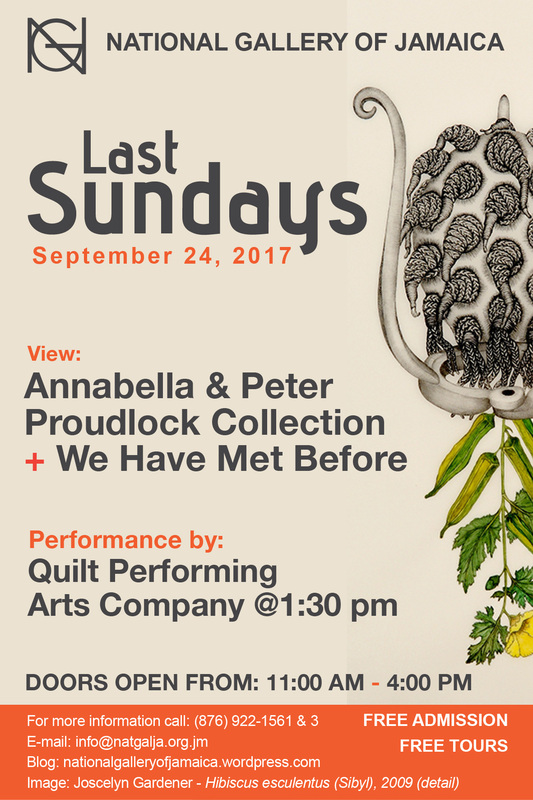 As is customary, admission will be free, along with free guided tours of the exhibitions. Our Gift and Coffee Shops will also be open for business. Proceeds from these as well as contributions to the National Gallery’s donation box are, as always, appreciated and are used to help fund programmes like Last Sundays as well as our exhibitions .